Founded in 2001, we are Melbourne’s only North West Morris Side. 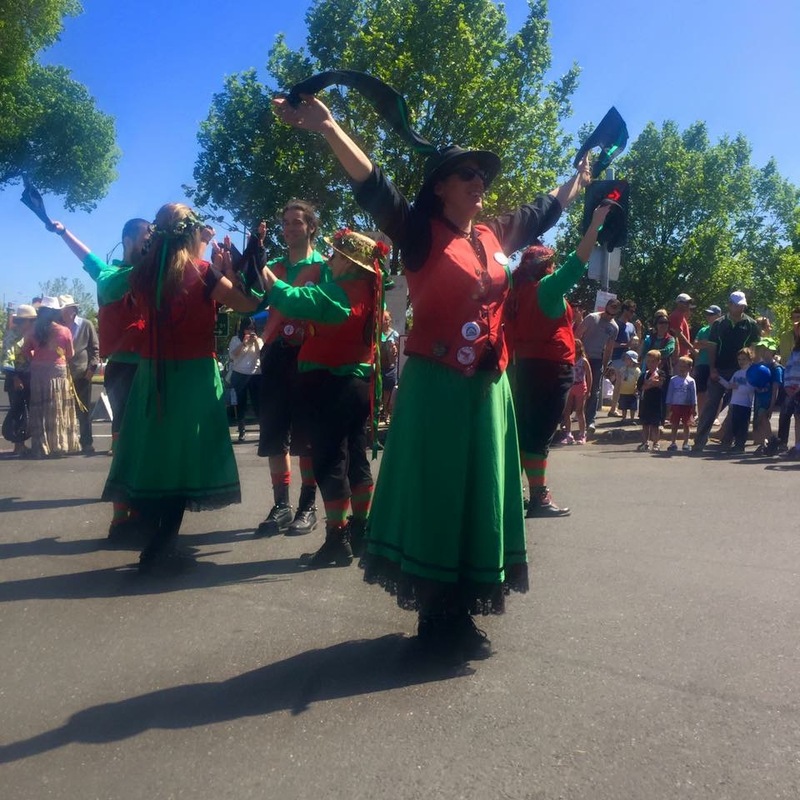 What is Morris Dancing? It is traditional English folk dancing! The North West style is done in formations of 4, 6 or 8 dancers – to live music. We wear heavy clogs which were worn in the factories of England during the time just after the Industrial Revolution. The dancing steps are quite simple, but the dancers create interesting visual patterns which comes from hours of practise. If you would like to try Morris dancing, please contact us and come along to a practise any time! We also welcome new musicans to join us! Our current band has members who play the melodeon, the recorder, the drum and other percussion instruments.